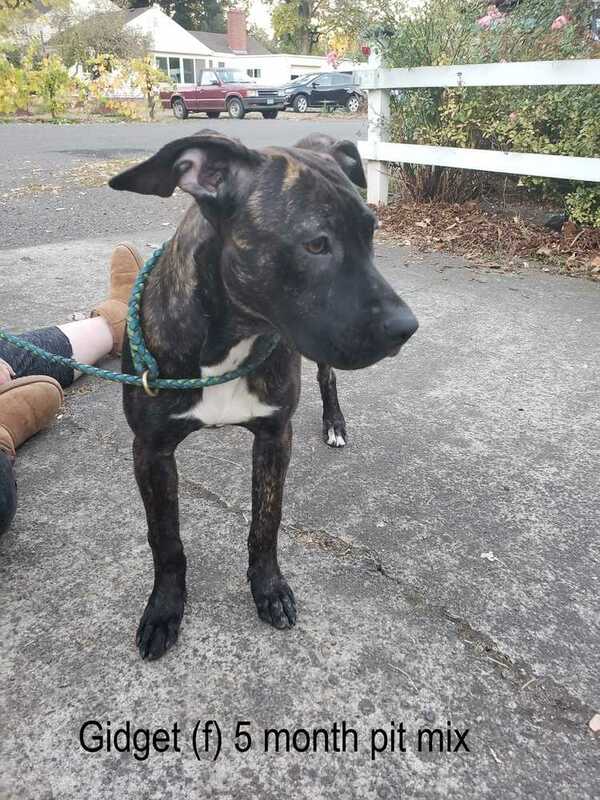 Gidget is a 5 month old female pitbull mix (brother is Titus). She came to us from Fresno Humane and she's a total lover. She has been in foster with cats and dogs and has met kids and is very sweet with them. She has been working on house training, crate training and basic obedience. Even though she has lots to learn, shes eager to please and picking up on stuff very quickly. She was showing signs of Demodex mange around her eye (non contagious hair loss), so she was proactively treated and given a dose of nexguard which should nip that in the bud really quickly. She is fixed, vaccinated, and adoption includes being microchipped, current on flea/tick prevention meds and has been dewormed. They come with a collar, 2 free vet exams, a bag of grain free dog food, and a private training session with certified trainer, and more! adoption fee: $375. We accept Cash, Credit, and debit and credit cards. There is a 2% fee if using a card at the time of adoption.